This richly-flavored black tea should be able to be steeped more than one time, especially if the initial steeping is for less than four minutes. We do not recommend over-steeping this tea during any particular one steeping. Due to the slender and curled shape of the leaf, it is imperative to use enough leaf. This is not your grandmother’s ‘a teaspoon per cup‘ type of tea. Because the leaf is so loose-filling in the measure, and you will be steeping the leaf at least a second time, in order to have the 3 grams that are appropriate to use, it is necessary to use at least 1 Tablespoon per 6 ounces of water. If you do not use enough leaf, the steeped tea will be thin and watery – quite the opposite of the big, bold, smooth flavor that this leaf will have when measured by weight. This area in southern Jiangsu Province was one of the first places that we visited on our first trip to China in 2000, and we have re-visited it to source many of its delicious teas and functional teawares. The region is one of China’s best-known locations among tea afficionados, but not because of the tea gardens or any historical reputation for finely-plucked loose leaf tea. Rather the region from which this incredible leaf comes is well-known for the world-famous, small-size teapots that are made in the villages surrounding this city in eastern China : the Yixing teapots that are used primarily for steeping Pu-erh, other ‘dark’ teas (such as heicha), and also oolong. This region is best known for deposits of ‘purple clay’ that are found in the vicinity of Taihu Lake. The dense, concentrated and intensely-colored clay that is fabricated into many simple, elegant, whimsical, and fanciful teapots does not need a glaze to accomplish the task of holding leaf and water together while steeping. Jiangsu Province in general is a stunning region of steep mountains and bamboo forests, many lakes and streams, and with settlements that date back to summer residences of both wealthy and powerful Chinese and later, westerners, who were all escaping the heat of the summer in the major cities that have been so densely populated for centuries. Yixing city is now populated by 1.24 million residents, but it was once a sleepy pottery town known only to tea enthusiasts and pottery collectors. The province is also home (in China) to another world-famous artisan manufacture: silk. Yixing’s ‘sister city’ on the eastern side of Taihu Lake is Suzhou, known for its silk manufacture and embroidery, urban gardens, temples, and scholarly and artistic pursuits. Along with dense stands of graceful bamboo, for centuries magnificent mulberry trees have been (and still are) used to delineate the borders of these local tea gardens, subdividing these small gardens into ‘sections’ in order to identify plots of garden by growing method, the particular cultivar planted, and other botanical specifics. Natural ‘borders’ such as plantings are wonderful lines of demarkation, and as with stone walls in other parts of the world, create a flowing but firm line in the earth that can serve as a viable boundary marker. In the case of bamboo and mulberry, these plantings can also act as a buffer from weather patterns, insects, and man. In Jiangsu Province it is said that its most famous green tea harvest, that of Bi Lo Chun, benefits from the aroma of the flowering mulberry, and some even propose that the tea leaf is imbued with the subtle aroma of the mulberry flowers. Having travelled in the area, we can speak to the beauty of the landscape, but must admit that we have a difficult time isolating that mulberry flower aroma in the scent of either Bi Lo Chun or any other tea leaf grown in the province. However, we love a good tale as much as the next historian, so we tend to believe that at some point the transfer of aroma must have been possible, and may have occurred! This delicious, richly-flavored black tea is from one of China’s best-known locations among tea afficionados, but not because of the tea gardens or any historical reputation for finely-plucked loose leaf tea. Rather the region from which this incredible leaf comes is well-known for the world-famous, small-size teapots that are made in this eastern China village: the Yixing teapots that are used primarily for steeping Pu-erh, other ‘dark’ teas (such as heicha), and also oolong. This region is best known for its deposits of ‘purple clay’, the dense, concentrated and intensely-colored clay that is fabricated into many simple, elegant, whimsical, and fanciful teapots, that do not need a glaze to accomplish the task of holding leaf and water together while steeping. Jiangsu Province in general is a stunning region of steep mountains and bamboo forests, with many settlements that date back to summer residences of both wealthy and powerful Chinese and later, westerners, who were all escaping the heat of the summer in the major cities that have been so densely populated for centuries. Yixing city is now populated by 1.24 million residents, but it was once a sleepy pottery town known only to tea enthusiasts and pottery collectors. The province is also home (in China) to another world-famous artisan manufacture: silk. Along with dense stands of graceful bamboo, for centuries magnificent mulberry trees have been (and still are) used to delineate the borders of these local tea gardens, subdividing these small gardens into ‘sections’ in order to identify plots of garden by growing method, the particular cultivar planted, and other botanical specifics. Natural ‘borders’ such as plantings are wonderful lines of demarkation, and as with stone walls in other parts of the world, create a flowing but firm line in the earth that can serve as a viable boundary marker. In the case of bamboo and mulberry, these plantings can also act as a buffer from weather patterns, insects, and man. In Jiangsu Province it is said that its most famous green tea harvest, that of Bi Lo Chun, benefits from the aroma of the flowering mulberry, and some even propose that the tea leaf is imbued with the subtle aroma of the mulberry flowers. Having travelled in the area, we can speak to the beauty of the landscape, but must admit that we have a difficult time isolating that mulberry flower aroma in the scent of either Bi Lo Chun or any other tea leaf grown in the province. However, we love a good tale as much as the next historian, so we tend to believe that at some point the transfer of aroma must have been possible, and may have occurred! We are currently blessed with a delicious and uniquely special black tea from this region. This is quite exciting, as we have not been able to source this tea in more than a decade. We have been hinting at its arrival for a month or so now… Made from the same leaf plantings as the green tea in the area (though not the Bi Lo Chun plantings) this leaf is on the small side with a delicate turn that curls nicely in a graceful twist. As with the Keemun tea growing region (Qimen), whose leaf was historically made into green tea, Jiangsu Province has wonderful plantings now of both green and black tea bushes. The domestic China tea market has discovered this manufacture of black tea during the last five years or so, and the price has risen dramatically, but luckily it was formerly known only for being an inexpensive, locally-consumed tea, so the price rise has simply made it competitive with other first-class China black tea. And a first-class tea it is…For 25 years it has been one one of those ‘holy grail’ teas in that it has been quite difficult to source and the quality always needing to be re-affirmed prior to purchase. 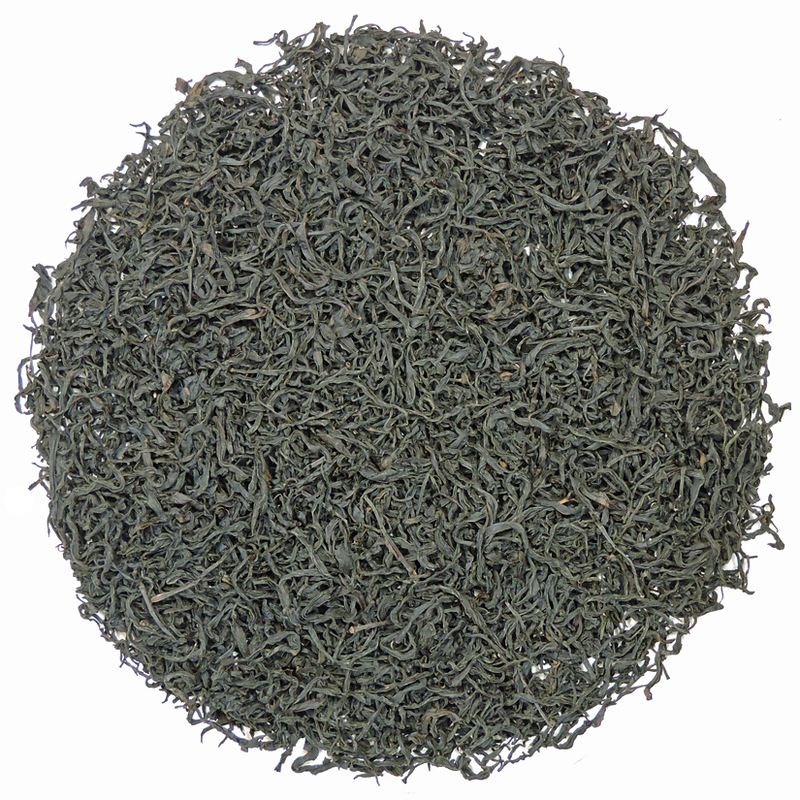 However, when all the characteristics are as they should be, Yixing black tea is a stunner, and this is that tea. The flavor is jam-packed. It is rich, full-bodied, quite ‘raisin-y‘, and is (we think) best drunk neat, or plain, but it does accept milk quite readily so if that is how you prefer your liquid tea, then try it both ways. 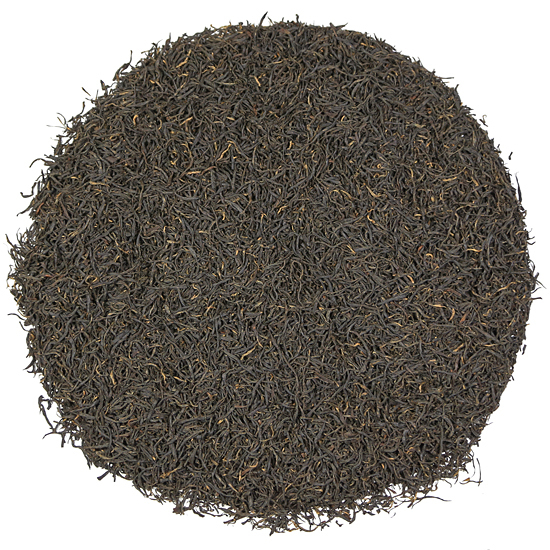 This is what we like to call a ‘sturdy’ black tea – one that has incredible structure. Because of the incredible terroir of the area the growing conditions are superb and this tea reflects that. It has a bountiful amount of the cacao-like aroma and flavor that is so reminiscent of its black tea neighbors to the south (in Fujian Province) but none of the spicy, winey flavor of the Keemun teas to the west. The aromatic qualities of our Yixing Black are bright and intoxicating – mostly in the wet leaf – with nuance of raisin, cacao, and dried fruit. 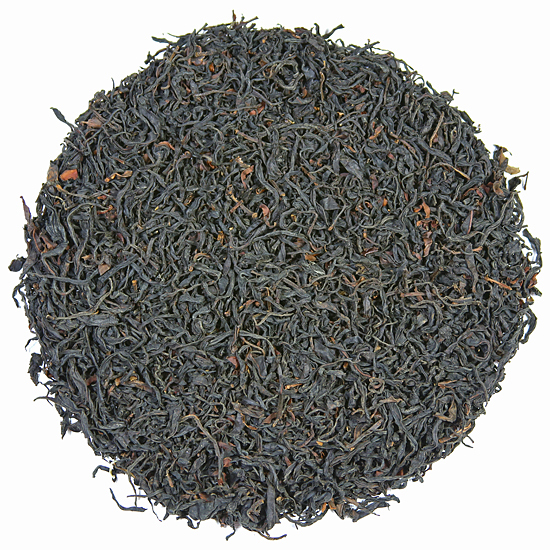 Our current Yixing Black tea is elegant, richly aromatic, and has a finish that lingers. The liquor is clear but with high soluble solids, and is a deep, rich claret color. This area was one of the first places that we visited on our first trip to China in 2000, and we have re-visited it to source delicious teas and functional teawares. The region also has a nascent tourist capability that encourages maintaining the clean natural environment of eastern China, including its tea gardens.